groups you can join. 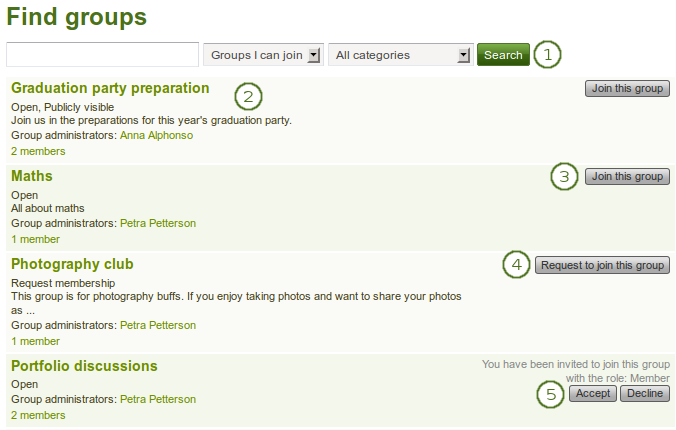 This is the default value and only shows those groups that you are not a member of and that you can join. Thus, it does not show any groups that have controlled membership. groups you are not in.